Ok, so first up: writing this post is impossible. 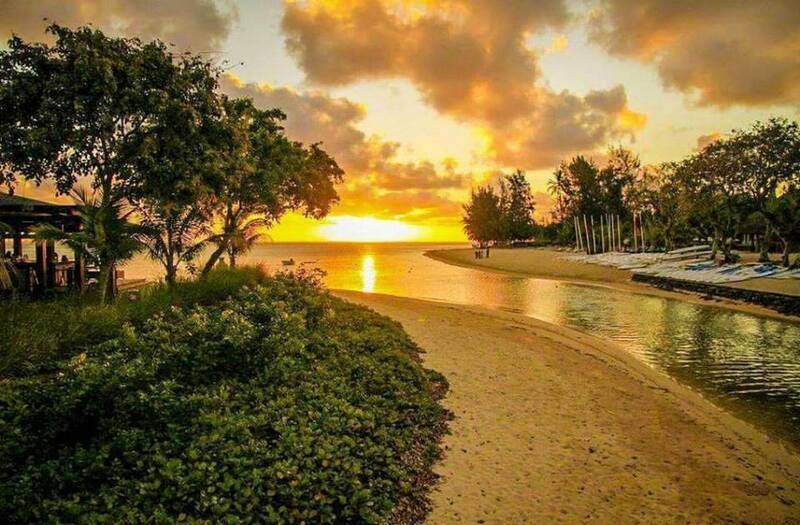 Mauritius has over 160 km of beaches, and pretty much all of them are pristine. Creating a definitive list (and don’t even get me started about rankings!) is tough going. My top five, therefore, are just those beaches where I like to hang out. 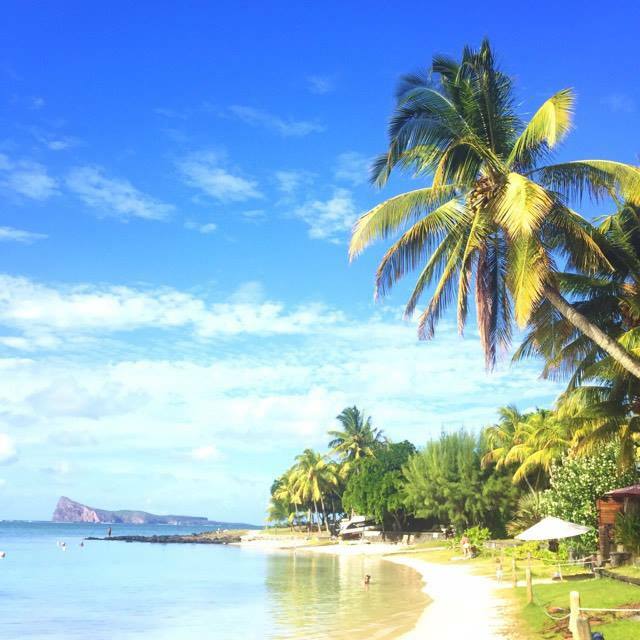 Had this post been written by anyone else, you would be reading a totally different article: Mont Choisy, though gorgeous, isn’t here – simply because I don’t really go there. 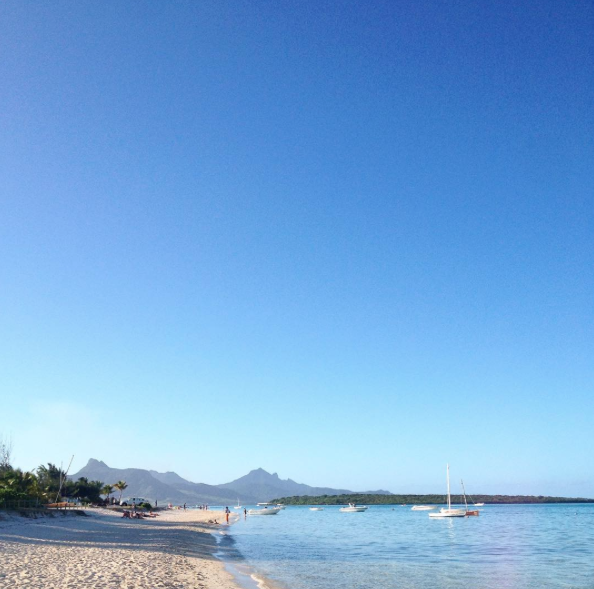 Neither is the iconic Trou aux Biches, a favourite place for many Mauritian families. Flic-En-Flac is lacking in mystique, for me, just because of habit: it’s where I spent most of my childhood weekends. Another issue when writing was this: how exactly do I go about describing each of these beaches without sounding repetitive? The sea’s temperature is basically bathwater come summer. All of these places have fine, golden sand, advert-style, and crystal-clear water that’s perfect for relaxing in or exploring. Like pretty much all the hotel brochures will tell you, “a large variety of watersports can be practiced on the island”, too. I can never get enough of Tamarin bay. The sand is light basalt-grey, as if the place demanded a personality different from the rest of the island. 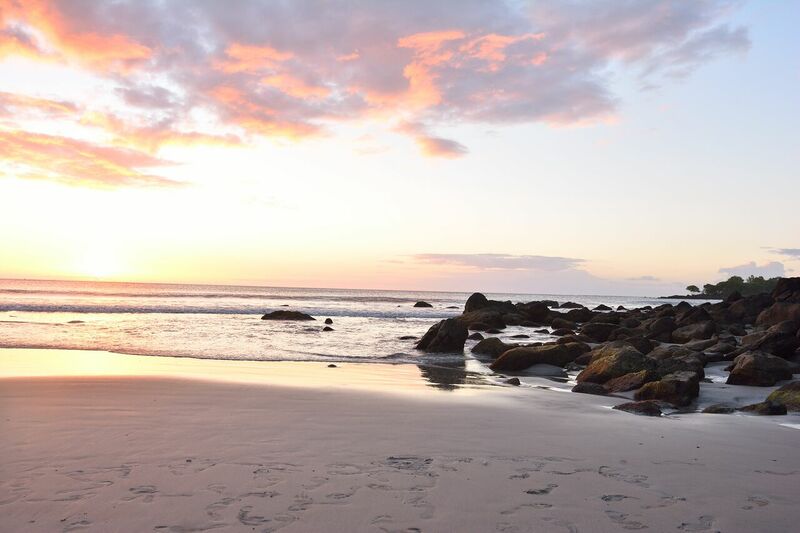 It’s possibly the one beach where you’ll find tourists, foreigners and locals mingling all together, a symbol of unity that’s made Tamarin a hotspot for artist gatherings and musical events. What you really should come for, however, is the sunset. 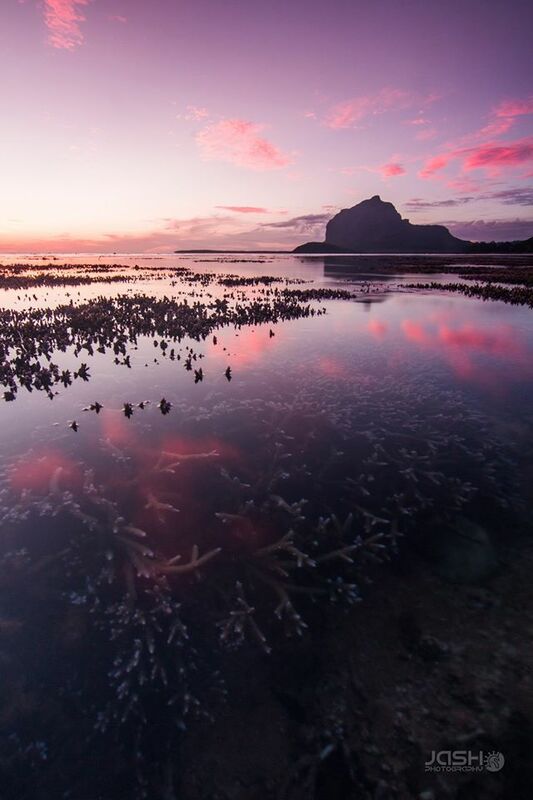 It’s unlike anything else you’ve ever seen: the whole bay is drenched in colour, reflected in the water, in the mountains, a golden pink, purple and blue that, honestly, no adjective could do justice. Photographers love this place. Saskia P’s latest collection was shot here. These two are my own, taken with my phone. This place defines iconic. This whole stretch of coast is among the world’s most beautiful – and this isn’t just my opinion! 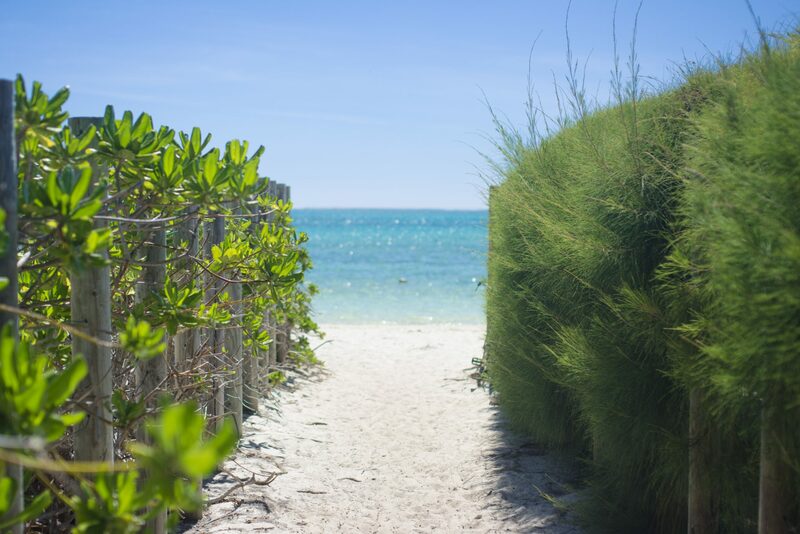 The beach and lagoon are gorgeous – but that’s the usual deal. What makes this whole place extraordinary (so many adjectives so far, I know, but trust me it’s justified) is that, when you’re swimming or just lying on your back, eyes turned towards the land, you’re met with spectacular jagged mountains in a palette of green and purple. 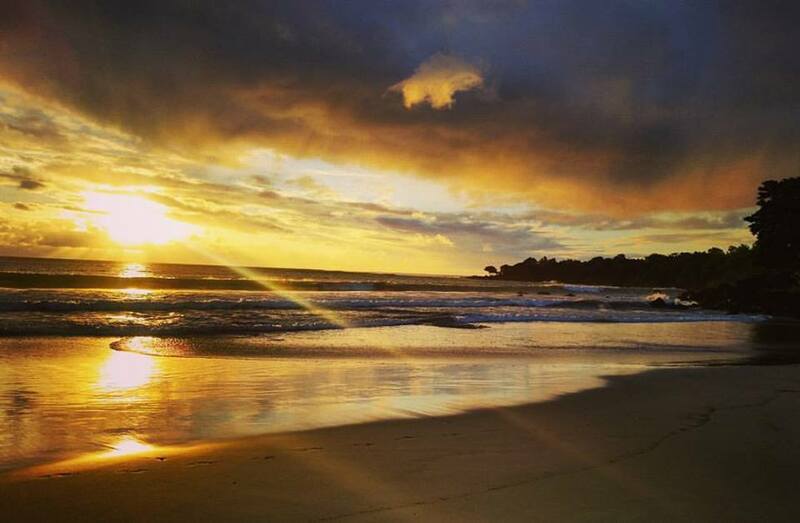 Make sure to stay long enough so you can enjoy a sunset swim, where the whole coast is tinted pink and gold. Photography lovers: you’ll want to camp here for a while. 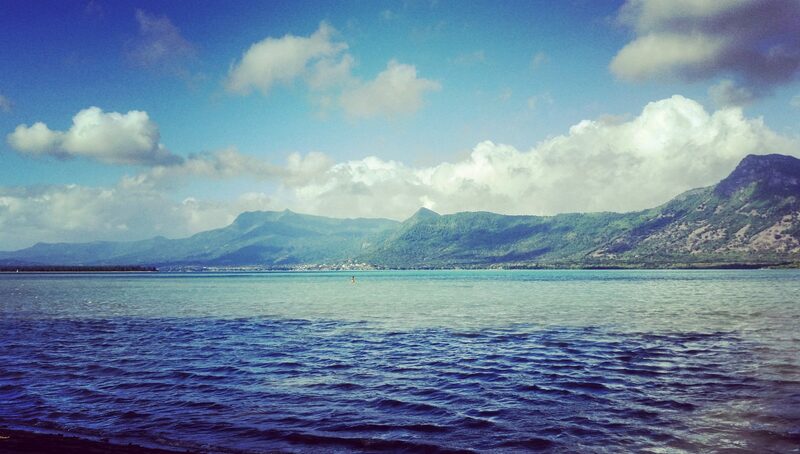 That’s not all, of course: Le Morne is a UNESCO world heritage site, a place commemorative of the horrors of slavery. It almost cuts you with its geographical memory. 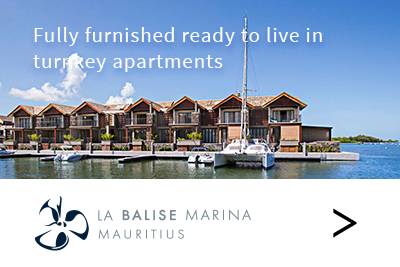 It’s the place you would choose, if you were to describe one of the areas that defines or encapsulates Mauritius. This shot was taken near Le Paradis hotel – again, from my phone. The view is phenomenal. Yep, you guessed it – come sunset, photographers appear! 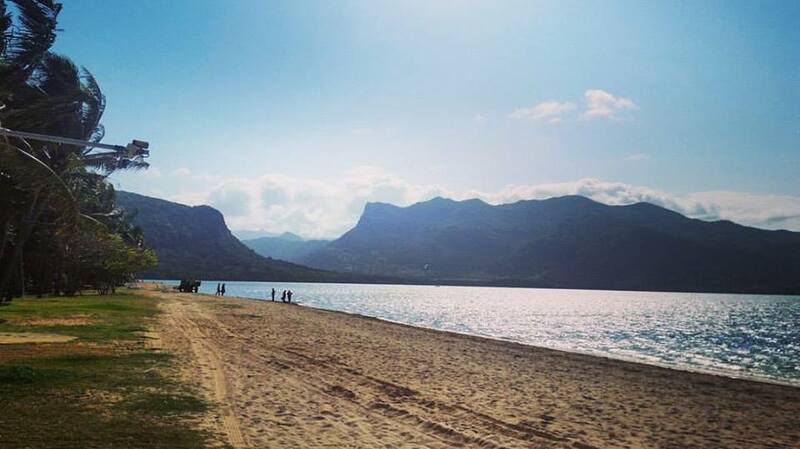 Driving from Tamarin will lead you straight to Le Morne…and from there, keep driving south! You’ll arrive on another stretch of coast I love, called Bel Ombre: an expanse of white sand, gilding one of the most tranquil shores of the island. Bel Ombre is quietly stunning: a slice of wild southern beauty, complete with forests, waterfalls, crescent-shaped lagoons and an array of beaches to explore. 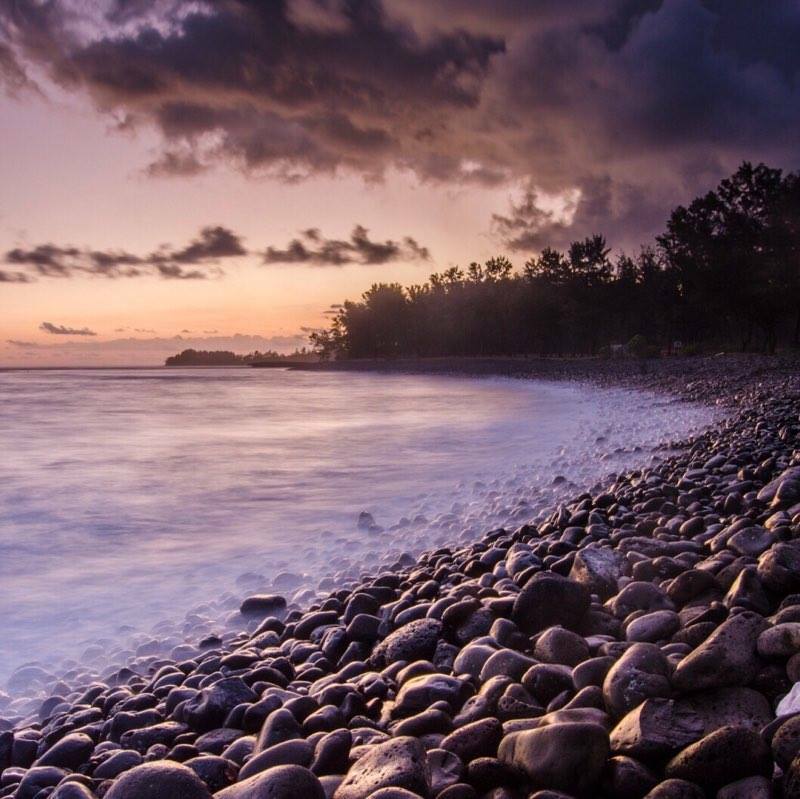 Don’t miss the gorgeous Rivière des Galets, the one beach in Mauritius totally covered by smooth, grey pebbles. 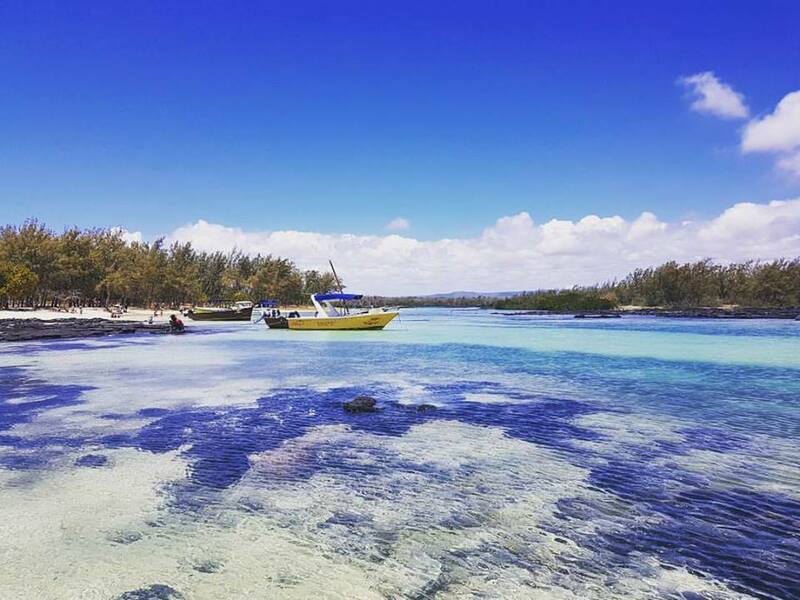 If you love snorkelling, or even just gazing down from the comfort of your glass-bottom boat – you have to visit Blue Bay. The beach can get a little crowded though, sometimes (and honestly, it totally deserves the attention it garners – thick white sand that pillows your feet), which is why I like to head to Pointe d’Esny. It’s quite residential, but the beach (like all beaches in this country) is public, and worth the trip even just for the view of those mountains jutting up from the land. A tourist favourite, and for good reason: the sea is almost transparent and so clean, the sand ultra-fine. It’s the place made for weekends, no matter the season, since you’re guaranteed warm temperatures and little to no wind. It’s picturesque, too, when you know where to go. The public beach has access to all the restaurants and fresh fruit that have made the little town a go-to spot for years; however, keep walking east, heading to Bain Boeuf. You’ll see Coin de Mire (Gunner’s Quoin) framed by pirogues, crescent-bays that are postcard perfect. My own shot. 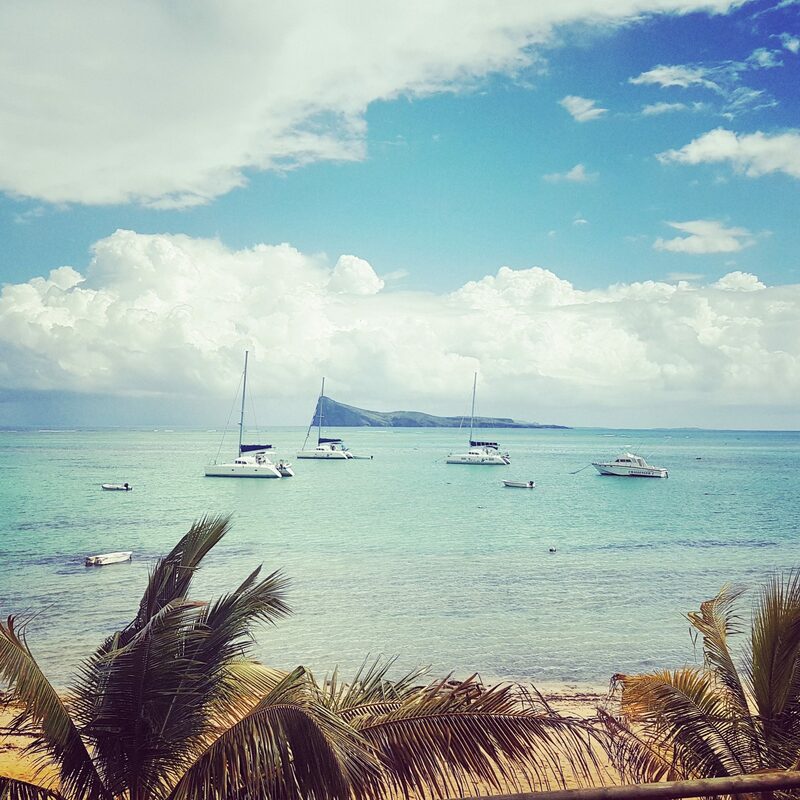 While you’re there, don’t forget to take a catamaran and visit Coin de Mire and the Northern Islands! 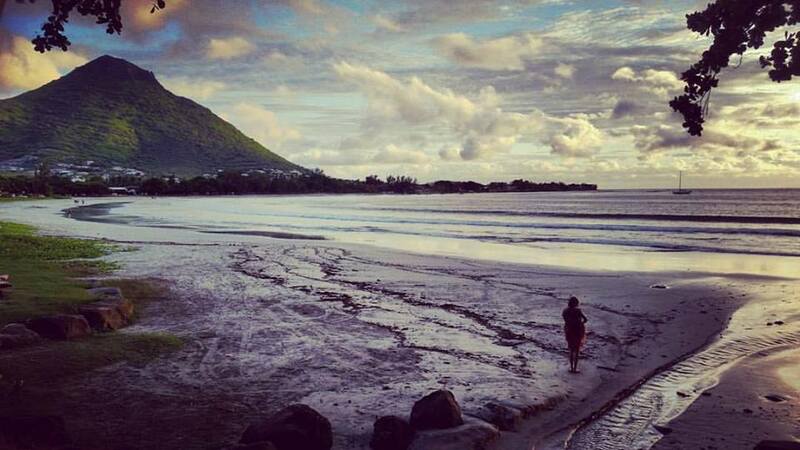 © Joelle‘s pic almost looks vintage – Mauritius is quite Edenic, don’t you think? …Ok, Ok, so here’s a sixth spot. Couldn’t help myself. 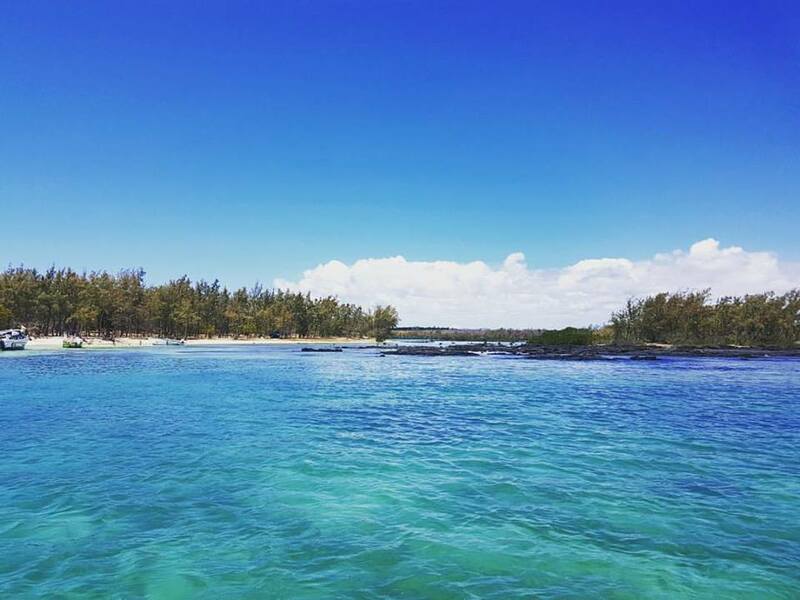 Ilot Bernaches is the haunt of a few very large Mauritian parties once or twice a year, but other than that, the islet is still rather well-preserved – I guess it’s because it’s a little out of the way. Fifteen minutes from St Antoine by speedboat, still secluded, and never, ever overcrowded (unlike that other famous tourist destination, Ile aux Cerfs). What more could you want for a mini, mini getaway? The mangrove trees nearby make for many memorable kayaking or SUP sessions – so why is it on my list of the best beaches? Well, for a start, it offers you a couple of different ways to enjoy the lagoon. On one side, you’ve got the wild, rockier sea stretching out before you: the perfect place to just sit and contemplate. On the other side – the one that you disembark on – you’ve got this gorgeous ‘sea bathtub’ experience: the water is comfortably shallow, so you could sit or lie down, as you would on the dry sand, with a glass of chilled wine in your hand. While writing this piece, a couple of news sources have confirmed that Mauritius is in fact part of a long-lost subcontinent. Forget Atlantis – the magic’s here. 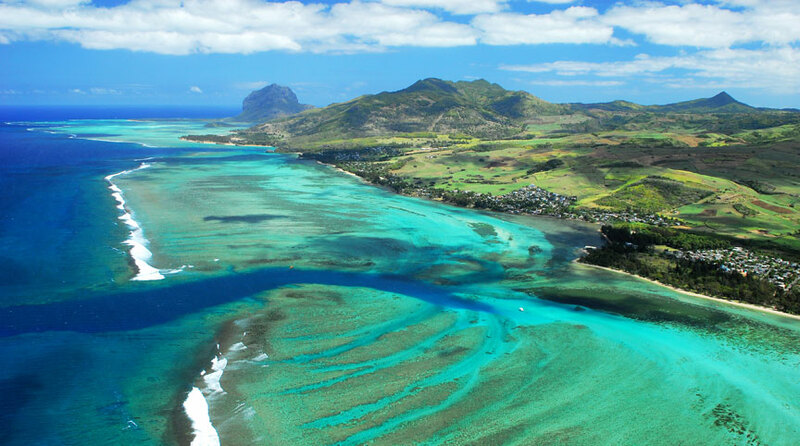 This post originally appeared on Realty Splendeur Blog by Mauritius Sotheby’s International Realty.